A couple of years ago I decided to return to the regular practice of veterinary medicine. My work as the veterinarian on Good Morning America and as a member of Core Team Oz on The Dr. Oz Show — not to mention my attendance at every important veterinary conference — kept me on top of the latest and greatest developments in veterinary medicine, so that was covered. But I found I really missed working with pets and their owners one on one, so I now work when I can at two top-notch hospitals near my home in northern Idaho. It was a good move. Of course, I loved being around so many pets and being able to provide them with the best care. But I also found that seeing pets again gave me an important perspective on how best to help the larger audience I reach through my TV appearances, books, articles and more. Nutrition turned up on the list of things pet owners worry too much about — specifically, many people get worked up over choosing a food that meets a pet’s nutritional needs, which isn’t that hard to do, especially if you ask your veterinarian for help. But what pet owners fail to worry enough about is how much food pets are getting. Bottom line: People are killing their pets by overfeeding them, and the problem is shockingly common, with about half of all pets seen by veterinarians today being either overweight or obese. Conversations about weight aren’t much easier for veterinarians than they are for human physicians, and they’re no less important. And what if your pet is overweight? Don’t worry. Your veterinarian can help. I think we’re making progress on this one. Most pet owners are aware of dental disease, more so in dogs than cats. But doing something about it still is a low priority for many, and that means people aren’t worrying enough about oral care. Signs of dental disease start early — as young as just a couple of years of age — and march sadly on if not addressed. Dental disease is about more than fixing bad breath. It’s about eliminating the pain associated with rotting teeth and gums, and about eliminating the constant shower of bacteria on internal organs from diseased mouths. 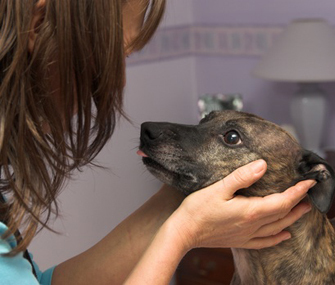 Pets with dental disease live shorter lives, and the lives they have are often miserable. Think about it: When it comes to talking about our own pain, we widely acknowledge the misery of a toothache. Now think about a mouthful of misery. Got it? Ready to get serious about dental care for your pet? I hope you are. Talk to your vet. We’ve maybe gotten a little complacent as pet lovers about controlling what I call “heinous hitchhikers” now that one monthly medication prevents heartworms and another controls fleas and ticks. But parasites are nothing to shrug off just because preventing them is easier than it used to be. Heartworms can be deadly once the parasites are established, and treatment of an infestation is no small matter. Fleas remain a major source of misery for many pets. Allergies to flea bite are a very serious problem in many dogs and some cats, triggering disastrous skin disease that is difficult to control once the cycle of misery begins. Even for dogs who aren’t allergic, flea bites are not fun: Imagine constantly feeling itchy, and you know what your pet is going through. As for ticks, they’re a dangerous source of disease for pets and people both. Parasite control is very safe and effective, so get your pet on it. The bottom line: You’ll always do better worrying about — and working on — the things that prevent health problems, and your veterinarian can help you figure those out. It starts with a comprehensive wellness check. If your pet hasn’t had one in more than a year, you’re overdue.